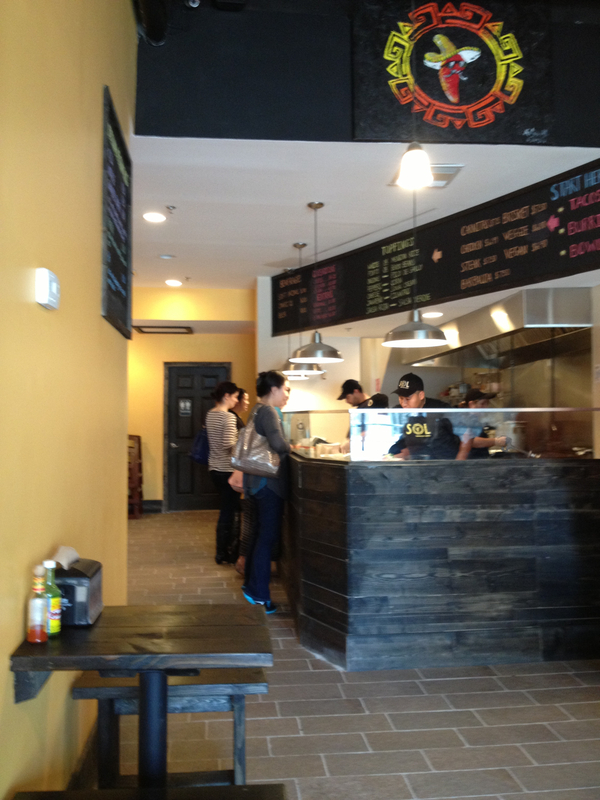 Sol Mexican Grill (1251 H Street, NE) officially opened on Friday for lunch, dinner, and late night service (open at 11am everyday until 9pm during the week and 3:30am on the weekend). Currently only the first level is open until they open their second floor and patio in a few weeks. When they open the upstairs section, it will feature a more expansive menu and table service. We stopped by on Saturday to enjoy our first lunch. 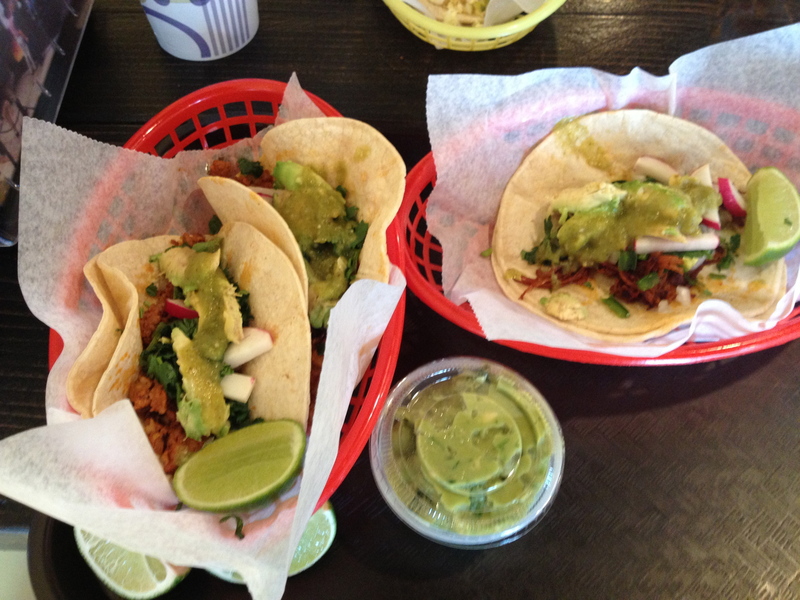 We tried several of the tacos and were very impressed. The chorizo and al pastor tacos reminded us of the authentic tacos that we used to enjoy out in L.A. and were quite delicious. We also recommend the fish tacos as well. Even though it was 1:30pm, Sol was doing a steady lunch business on its second day. We look forward to many more trips in the future.